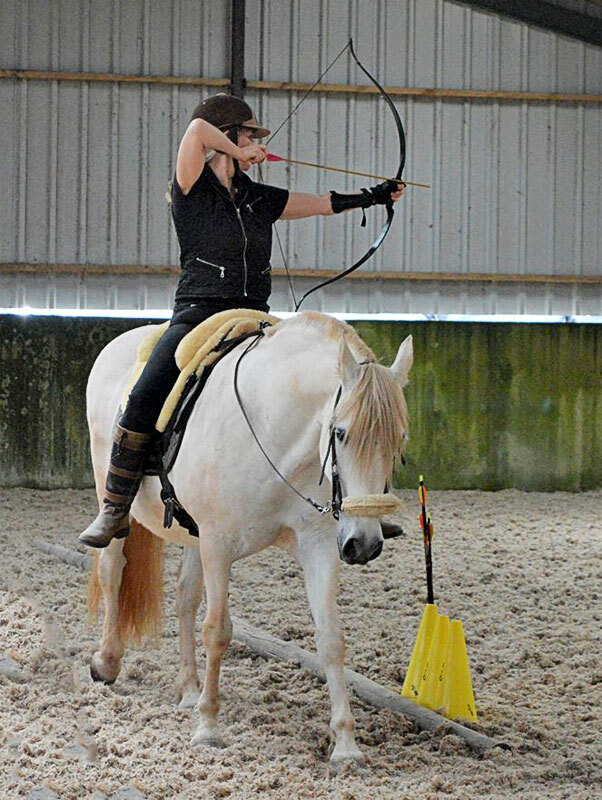 Our archers are amazing however one of our regular archers Trudi has taken her two passions to a whole new level by learning the art of horseback archery. For four years I was an archery Mum; sat behind the line at the Bowmen of Danesfield, nose in a book and offering support to my daughter. Things changed when my friend introduced me to horseback archery. My day job involves training equines and their humans but I had never considered shooting arrows from the back of a moving horse. Previously I had never heard of, let alone tried, horseback archery and had only ever shot a couple of arrows with two feet on the floor (with no great skill I might add). Horseback archery is an ancient art that has developed into a modern sport. Mounted archers began to replace charioteers at the end of the Bronze Age and on into the Iron Age. The Assyrians are widely credited as the first to take it up when they began hunting from horseback with a bow. The Scythians too were one of the early people to master the art of mounted warfare, they seem to have been spread across a large region north of the Black Sea and their land may well have reached as far as the Caspian Sea. The peoples of the Asian steppes, most notably the Mongols under Ghengis Khan, perfected the art of mounted warfare over the centuries. In Japan, meanwhile, from about the 4th century AD, Samurai warriors developed their own form of mounted archery, Yabusame, using tall asymmetric bows, and they still shoot in this traditional way in Japan today. Some of the appeal of this fast, exciting sport is the freedom it gives to the horses. They are not only ridden with no contact but without reins at all most of the time. 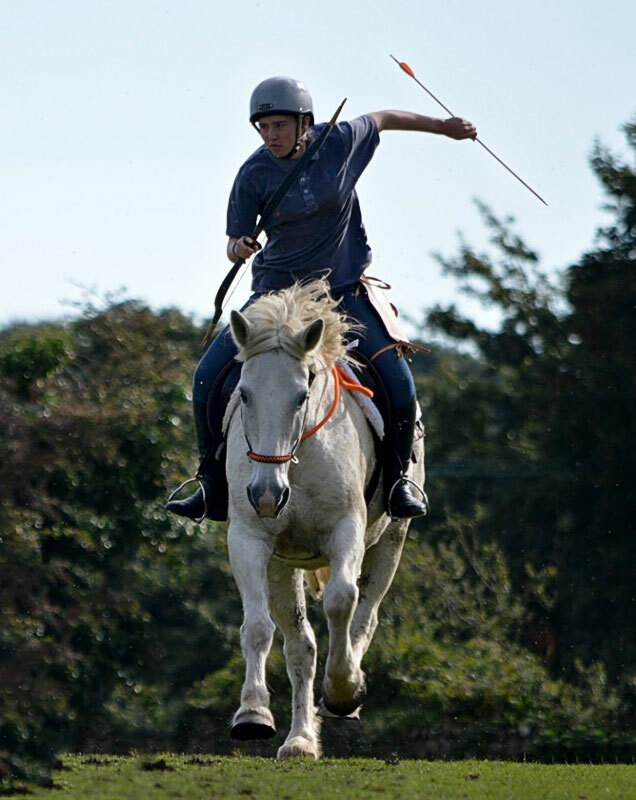 Most horseback archery tracks are run over 90 metres, with targets at regular intervals alongside, and of course, the horse needs to be ridden without reins as you need both hands on the bow. When the reins are used it is as neck reins, so they can easily be moved to the start of the track while holding a bow and a handful of arrows! Horses are trained to follow voice and seat cues to be responsible for maintaining their speed and direction with minimal input from the rider. 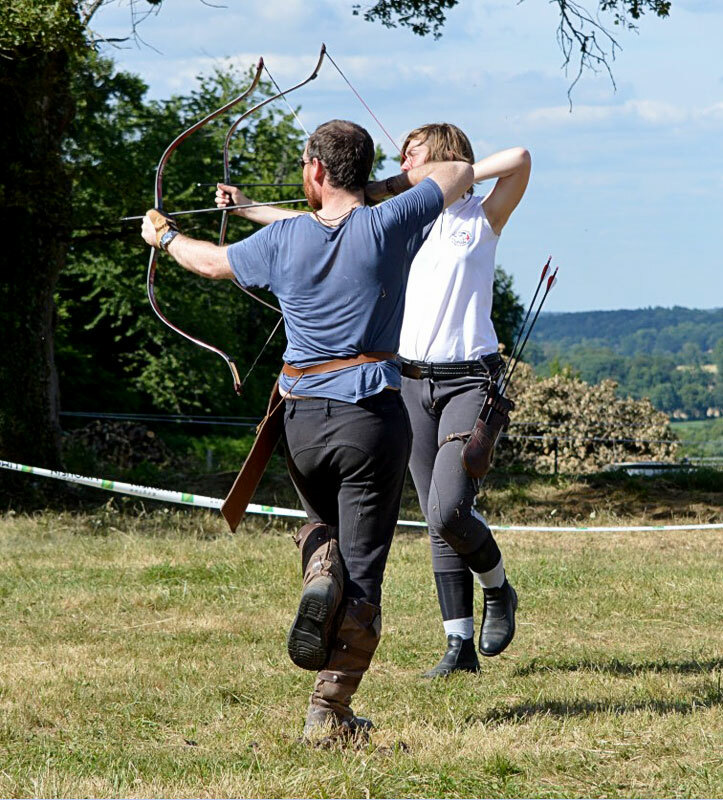 I’m still very much a novice in the world of horseback archery- I’m happy with the horseback bit but, as a regular at the Bowmen of Danesfield will confirm, I’m still very much learning the archery element! So why complicate matters and shoot from horseback, what’s wrong with two feet? Well, I think it helps your coordination on the ground when you start to shoot from a horse and of course, it adds an element of fun and challenge; some of the archers at my HBA club (Cotteswold Mounted Archers http://www.mountedarchery.org.uk/) are also target archers. It is very much an instinctive method of shooting and an experience all archers would be sure to benefit from. If you’d like to find out more about the sport, get in touch with the governing body in the UK, the British Horseback Archery Association (www.bhaa.org.uk) and they can put you in touch with coaches in your area; the sport is rapidly growing in popularity and new clubs are starting up all the time.